While there have been a few shots heard ’round the Mustang world, we’ve been waiting for the S550 Mustang Dyno tuning horsepower wars to escalate. Well, at Watson Racing, the battle has begun in earnest. The company recently added one of Whipple Superchargers’ new 2.9-liter superchargers for the S550 Mustang. And the results were downright breathtaking. Don’t be alarmed by the lack of an inlet tube and mass air sensor in front of that massive Whipple throttle body on the supercharger. 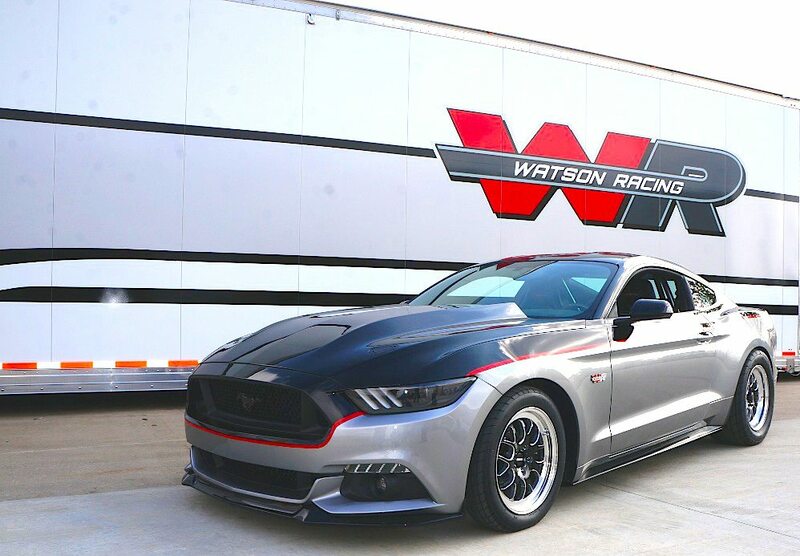 Watson Racing converted its 2015 S550 Mustang’s engine management to one of F.A.S.T.’s fully programmable speed-density EFI systems. If you have followed our coverage of the Watson S550, you know it debuted at last year’s SEMA show in the Ford display. It was one of the few drag strip oriented machines on the SEMA show floor. Also, it had the mods to back it up. However, as with most SEMA projects, the Watson car had to be show-ready in a short amount of time. That didn’t leave the opportunity to maximize the car’s full potential. Regular readers will also know that the company is busy with myriad other projects. 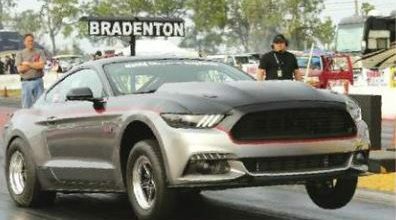 From converting Ford Racing School 2015 S550 Mustang fleet to building up customer Cobra Jets for the new racing season. As such, it was difficult to find the opportunity to work on its project. However, when the company carved out the time, its team knew just what they wanted to do. As a result, the Watson team fortified the stock Coyote short-block with good internals. Also, the Racing team reinstalled the stock heads and fitted those heads with a set of custom camshafts built to Watson Racing specs. With that gear in place, they installed the Whipple as mentioned earlier, supercharger system. The company is quite familiar with how efficient these superchargers are on Cobra Jets, so the 2.9 was a natural choice for its 2015 project. With the help of American Racing Headers, BASF, Centerforce, Dynotech driveshafts, F.A.S.T., Ford Motor Company, Ford Performance Racing Parts, Ice Nine Customs, and M&H tires. As well as, Magnaflow, Optic Armor, SPC Interiors, Strange Engineering, Teamtech, Tremec, Weld Wheels, and Whipple Superchargers. Watson has put together a beautiful new S550 Mustang with performance to back up its good looks. As you may know, one of the constraints holding back the escalation of significant horsepower on the latest Mustangs is the complexity of the programming inside the new TriCor PCM. 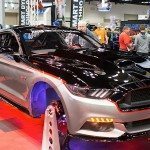 While strides to produce high-power have been painful for manufacturers with the factory computer thus far, Watsons S550 Mustang Dyno tuning results tell another tale. The Watson team wanted to eliminate any variables and go right into making significant power. Impressed by the figures? Here’s the proof. Spinning to nearly 8,000 rpm, the Watson Racing 2015 S550 Mustang GT put down 928 horsepower and 684 lb-ft of torque to the rear wheels. As great as those numbers are, they are just the starting point. Watson believes there is more performance to be had via additional tuning. They are impressive numbers, indeed. With the F.A.S.T. system in place, the Whipple-blown Coyote put down a whopping 928 horsepower to the rear wheels. Better yet, that is on a conservative tune. Kim believes there is more power to be had, but they want to wring the rest of it out at the racetrack before choosing a racing class for this impressive machine. 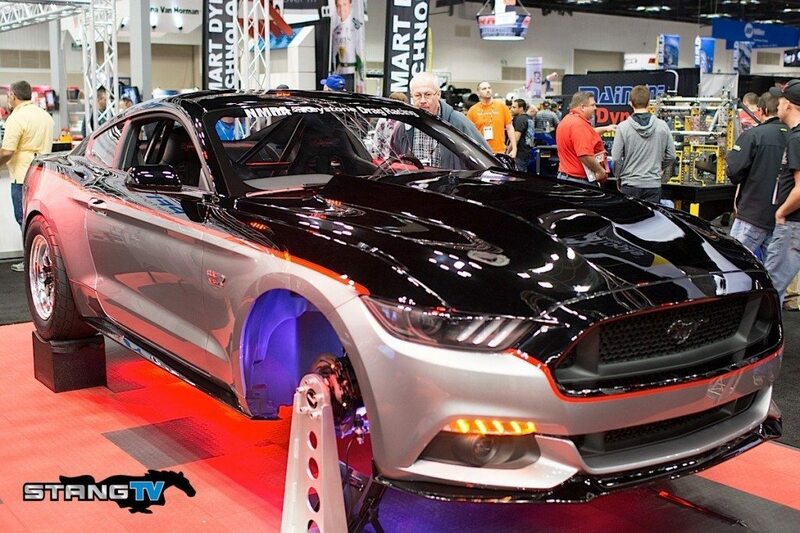 So, if you are as excited to see this S550 Mustang run as we are, make sure you are in the stands at the NMRA season opener in Bradenton, Florida, on March 5-8, 2015.